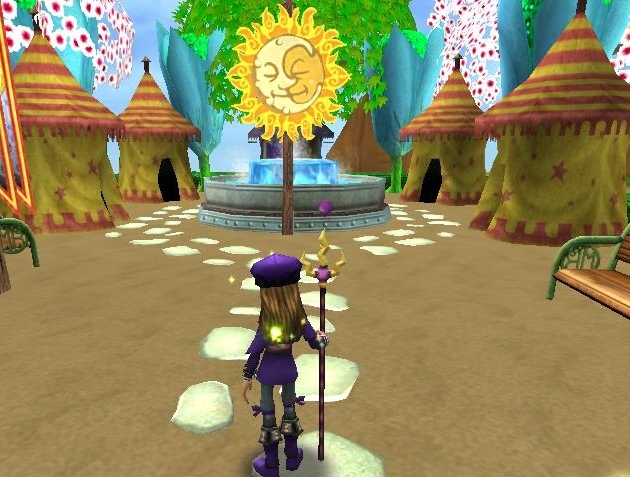 ﻿﻿﻿﻿This week I would like to show you something extremely awesome that my friend Blaze Shadowhorn of My Wizard101 Site did in his Sultan's Palace. He made his own fairgrounds, complete with mini games! Where did you get the idea to make a fairgrounds? Well Autumn, I got the idea from a friend lol. I was helping them in their Massive Fantasy Palace with putting the mini-games in the tents and I showed them (how) and then I was like. WOAH! I could make a fairgrounds! It was a pretty cool idea and I wanted to expand on it. ﻿﻿﻿For the mini-games I used, Hot Shots (came with Sultan's Palace) and 2 other games that were generously donated to the fairgrounds by Sean Dragonflame. He runs the blog the Balanced Blizzard. I highly suggest you check it out because he has good info and it is very helpful. How did you get the mini games inside the tents? 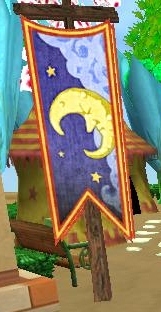 Well to get the mini-games in the tents I used a rug glitch I learned from Malorn Ghostrider. It is very cool. You can find the link to the post here. ﻿﻿﻿﻿﻿﻿﻿﻿﻿ What glitches did you use to make the hedge border?﻿﻿ The hedge border was kinda tricky to be honest. I had to use the cheat I spoke of above plus I had to make my own. Since there is the area that goes downward, I had to use the simple rug cheat with the blue trim rug under the hedges. I also had to position them with the rugs so they connected and there would be no gaps in-between. What was the most challenging part of making the fairgrounds? ﻿﻿I kinda have to say that the most challenging part of the fairgrounds was the sizing *chuckles*. Yea most people think the rug cheats, or the hedges would be the hardest but sizing it to make everything fit was what took the longest lol. I had to mess with it a few times to make it bigger. It was originally half the size of what it is today! Which items did you have to craft? ﻿﻿ Would you mind someone else using your idea? ﻿﻿﻿﻿I wouldn't mind someone using my idea because I feel that it is good to give to the community in the form of ideas etc. It actually is kinda hard to make the fairgrounds because you need all the mini games. I have 3 mini-games as of now. Dueling Diego, Doodle Doug, and Hot Shots. 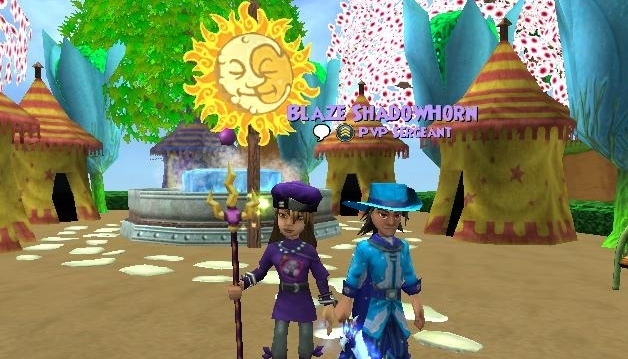 Me and Blaze in front of the fairgrounds entrance. Awesome job Blaze! I think the place looks amazing, and I am sure most people would agree with me. Thank you for letting me post about it and taking the time to talk with me! Amazing post Autumn :) I am glad you enjoyed the fairgrounds and I hope everyone else enjoys it.